Carey Consulting was founded in April 2005 with a view to providing specialist knowledge, expertise and advice, together with civil engineering design services, to professionals and others involved in Land Development Projects. 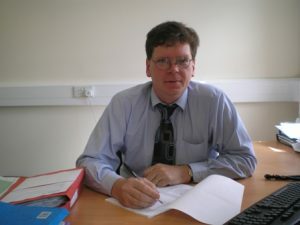 The business was founded by Managing Director Brendan Carey, a Chartered Civil Engineer with over 20 years of experience of working in this particular sector. The Managing Director is supported by a number of Graduate Civil Engineers and Technical staff who similarly have considerable experience of working in this specific area of the Industry. In addition the team is supported by our Administrative staff. 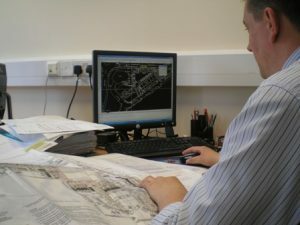 At Carey Consulting we pride ourselves on being able to offer specialist civil engineering development strategy and design advice that can maximise the development potential of your Project and also your chances of success in navigating your development proposal through an often difficult and complex Planning Application and Statutory Approval process. We have extensive experience and a highly successful track record in being able to negotiate with Roads Service, N.I. Water and Rivers Agency on the Developers’ behalf in order to secure their roads, including site access, and site drainage development objectives. Our extensive experience of the civil engineering issues which arise in the course of the planning application and land development process, combined with our knowledge of the key legislation and policy documents which form the basis of the decision making framework for this process, places us in a unique position where we can add real value to your development proposal.